Residents, business owners asked for input through surveys introduced at informational forum. 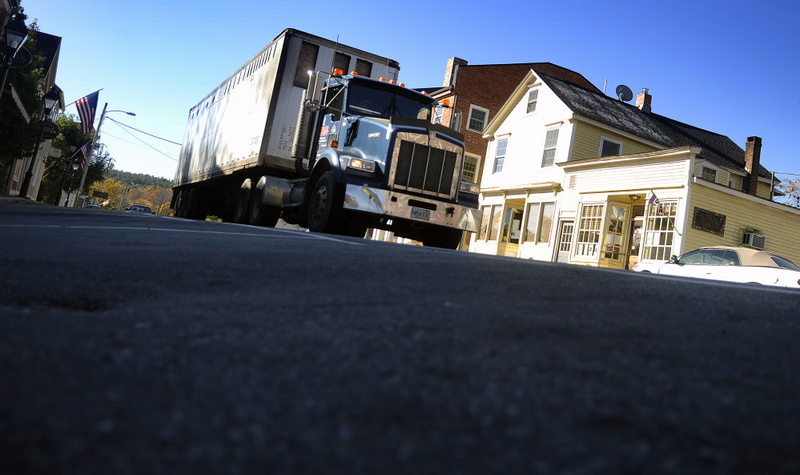 HALLOWELL — The most valuable thing that Hallowell residents and business owners can do about the upcoming reconstruction of Water Street is take the time to fill out the Maine Department of Transportation survey on the project, officials said Wednesday. “Nothing that’s critical has been decided yet,” Mayor Mark Walker said. The survey was introduced Wednesday at the state transportation department’s public meeting, along with information on proposed traffic patterns, project timelines and some design considerations. Ernie Martin, DOT project manager, said he’ll know by the first of the year whether funding is in place for the project, which then would be anticipated to start in 2018. Although plans are incomplete, both transportation and city officials know that rebuilding the half-mile stretch of Water Street between the boat launch and the snow dump will inconvenience residents, local businesses, commuters and tourists. “This can be done in one construction season,” Martin said, but only if they are able to put a one-way traffic pattern in place. As planned, northbound traffic would continue on Water Street. Southbound traffic would be diverted west onto Winthrop Street, south onto Second Street and east onto Temple Street. Using flaggers and an alternate one-way pattern on Water Street could stretch out construction to two or three seasons, he said. Al Godfrey, president of TMSI Engineers, outlined likely changes on Water Street, which is out of compliance with many standards. Sidewalks would be widened in some places, narrowed in others. To make parking spaces compliant with current standards, the 90 that exist now would be cut to 60. That drew an audible gasp from the 60 people gathered in City Hall Auditorium to hear the presentation and ask questions. Martin urged everyone to pick up a survey or fill one out online at maine.gov/mdot/projects/hallowell/waterst/survey and turn them in by Nov. 9. The department will compile the data and issue a report that will help shape the project. For Hallowell residents, the next critical deadline is February. That’s when city officials have to submit to the DOT Hallowell’s list of projects to be done in conjunction with the state project. 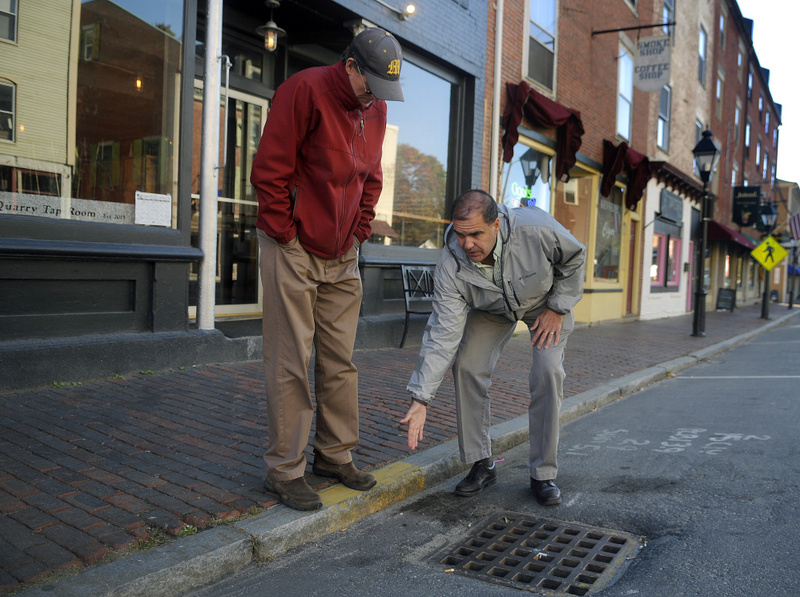 Hallowell City Councilman Alan Stearns, a member of the city’s Highway Committee, said the overwhelming majority of the project’s cost is being paid by the Department of Transportation, including the drainage work under Water Street. City officials have asked for sidewalks to be extended at the north and south ends; the municipal share of that is 20 percent of the cost. Additional streetlights on the west side of Water Street could cost $250,000. Adding parking on a Central Street lot is a city cost, but that’s not known, as it would require negotiations with the property owner to determine. City officials also could take on drainage issues on three side streets — Temple, Union and Central — that the DOT has identified as priorities. “This issue is fairness,” he said. “You shouldn’t dump the impact on the businesses,” because construction would otherwise be taking place during the day when businesses are open. Martin said the traffic component isn’t the same; tourist traffic makes up a smaller portion overall. “We’re dealing with many hurdles,” he said.